It’s 10 a.m. on a Tuesday morning in August and I’m shirtless, standing inside the U.S. Ski and Snowboard Association’s Center of Excellence in Park City, Utah, while my trainer Mike Bahn, the U.S. Ski Team’s Strength and Conditioning Coordinator, pokes and prods my skin, pinching bits of flesh between specialized pliers. I’m going through a portion of the Center’s base-level fitness tests so I can get a first-hand account of the metrics for athletes who have made the cut to be a member of one of the USSA’s teams. With the assistance of a ballpoint pen, Mike targets areas to qualify my body composition profile. Better yet is Adam Clark, the photographer assigned to the piece, whose large lens zeroes in on every fold of skin Mike grabs between those ever-judgmental calipers. Click, click, click. I rack up a sum of 69.4, which sounds like a barely passing grade. That is the sum of all my skinfold measurements in millimeters. What does that mean? Put it this way: in terms of ideal body composition, it’s too high for an Olympic endurance athlete, but spot on for a mogul skier, according to Mike. Though many of the athletes are currently in training camps in the southern hemisphere, a few are going through the paces as I visit. Small duos and trios of athletes and their trainers are scattered across the central weight area, sweating, lifting, stretching. Sunshine bathes the room, light reflecting off chromoly barbells and workout machines. Scores of action portraits of medaled competitors line impressive two-story walls. The room is not even at half capacity, yet the air contains a palpable energy. We walk in front of a fleet of weight-lifting stations, and Mike puts me through the Sport Science Athlete Readiness Assessment to determine my competency in flexibility and upper and lower body movement. Using a scale of one-to-five, five being the best, he scores a series of forward and lateral lunges, body-weight squats, and single-leg squats, marking his chart in each category. I receive a slight loss (3) on knee alignment during single- leg squats, my right, specifically. I have what is called a valgus—a deformity in which my joint collapses inward toward the center of my body. It simply means I’ve got a small weakness in my hip stabilizer muscles that allows my knee to bow inward. If I were an athlete at the Center, Mike has exercises to strengthen that deficiency. “Three isn’t that big of a problem,” he says. “But two is.” One that could lead to injury in World Cup conditions. The 85,000- square-foot building is a tour de force of training grounds. Located a 15-minute drive from Park City’s slopes, this athletic Elysium is complete with gymnasium, strength-training areas, nutritional center, ski and snowboard ramps, full sports-science lab, water therapy pools, foam landing pit, classrooms, multimedia rooms for performance evaluations, and state-of-the-art rehab and recovery facilities. Here’s one way it works. eighteen percent of USSA’s 225 athletes have season-ending injuries that occur from August through March. That is any injury that keeps an athlete from returning to competition in that time frame. It is with injuries that the under-one-roof methodology is best illustrated. Mike leads me to the middle of the conditioning floor to conduct my Force and Power profile. I’m to do jumps on what is simply called a force plate. But first, he puts me on a spin bike to warm up my legs, followed by some walking push-ups, and high-striding skips, which I proceed to do with way too much arm movement. [Disclaimer: I talk with my hands, and for this exercise I apparently used my outside voice.] “Easy there,” Mike says, clearly embarrassed for me. “Just let your arms move naturally.” I tone it down for the set back to him. “Way better,” he says. The Force Plate is a very expensive tool to collect a large spectrum of data. Imagine a very fancy scale that’s about four feet by four feet, with an inordinate amount of pressure sensors to measure the displacement, power, and velocity of my standing jumps. While I take my position on the plate, Mike sits behind a connected computer directly in front of me and positions a video camera to record my every movement during each jump. My first attempts are done with the use of a wooden dowel draped across my shoulders. He lowers guide bars on both sides, and directs me to squat until the dowel rests on each bar. Their purpose is to enforce a static jump, with no rebound loading. He gives a three count and I explode with all my might. “Great job,” he says, as he recalibrates the force plate. “Try to actually jump this time.” Mike, I learn quickly, has a dry sense of humor. Music is piping through the facility, though I see many athletes using their own ear buds. I can hear why. During my second jump series, Survivor’s “Eye of the Tiger” fills the airwaves—that insipid, overplayed, underdog-themed nonsense. This can’t be happening. Not now. 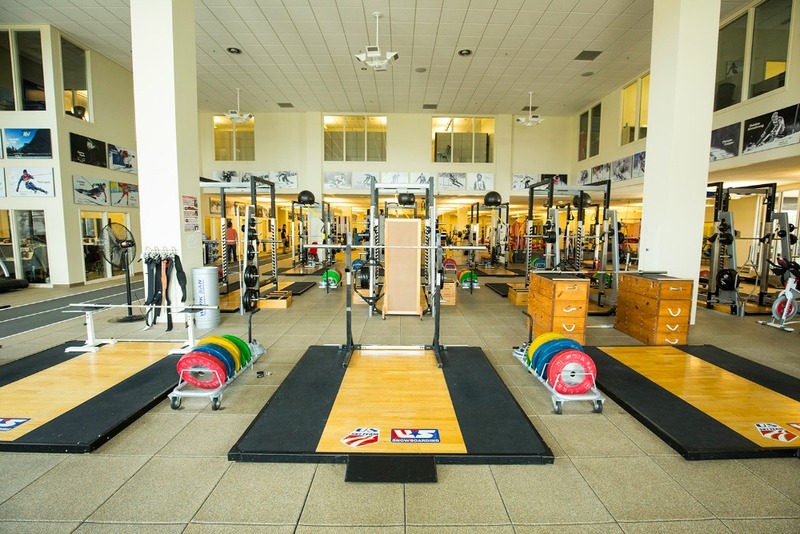 The force plate gives trainers a much more substantial view of the strength and power of an athlete. 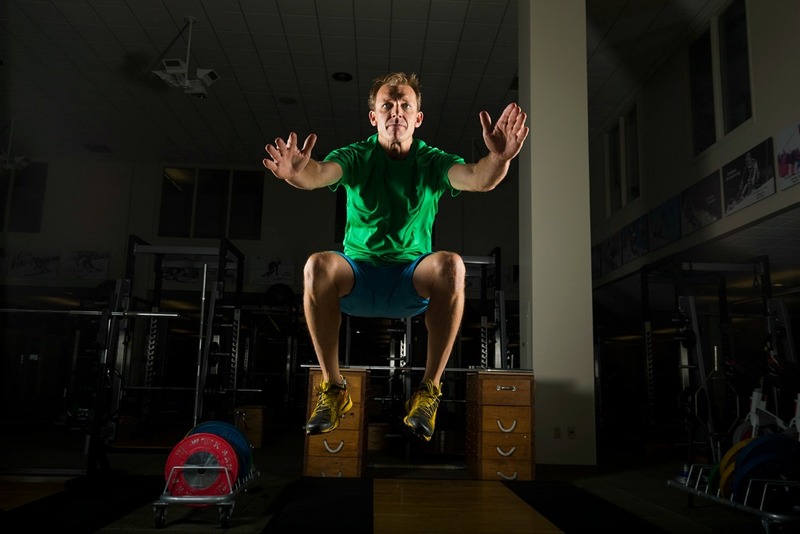 It’s easy to look at how much weight an athlete can lift and how high he or she can jump—both can be important measures. “But with the force plate we can get a lot of information about how the athlete is generating force and when,” Mike says. I wonder if the force plate can measure the direct correlation between that crap song and my mediocre performance. 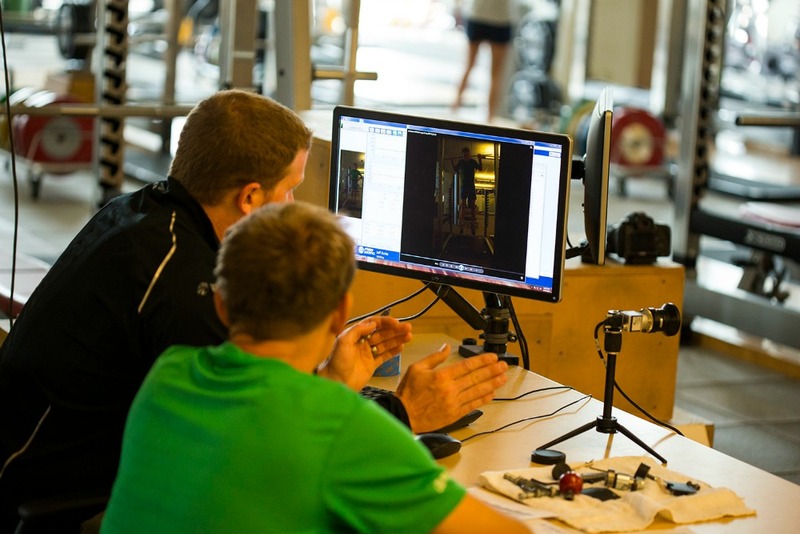 The addition of a camera allows coaches to instantaneously send a video to an athlete’s doctor for review and immediate feedback. For instance, when alpine veteran Lindsay Vonn recovered from her blown ACL, a coach would put her on the force plate and record her technique and form during exercises, forwarding results to her orthopedic specialist to observe progress before releasing her for field training and/or competition. All this attention to detail is done in the hopes of giving their athletes an edge, a small gain, a fraction of time, of space—one that gets them on podiums. At world stage competition, every incremental benefit counts. “At the top level of any sport, everybody has talent, everybody has work ethic. What separates them?” asks Mike, rhetorically. “That is the importance of marginal gains.” If there is one thing the Center is focused on, it’s finding, mining, and exploiting marginal gains in all their athletes, through fitness, recovery, nutrition, and technology. Marginal gains come in many forms. Take the U.S. Nordic Combined jump suit. “There was a big push toward the technology,” says Kyle Wilkins. “So they redesigned it. Trainers learned how to modify the jump suit so they’d get better distance on their flights.” On average, the boost in technology afforded the American jumpers 10 meters per jump, which put them in a better starting position for the cross-country section. It’s simple math: a longer jump gets them a better starting position in the cross-county event. In a supremely competitive event that’s won by fractions, this is a big deal. Don’t believe me? Before the U.S. team changed their jump suit, U.S. combined skiers didn’t make the podium for 85 years. Change the suit, and the Americans started making podiums. And resources come with a price. While these numbers aren’t specific to the Center of Excellence, this year the Legacy Campaign will raise over $35 million to support overall athletic programs—from grassroots to elite national teams. “We will spend around $22 million just on national teams, spread over around 200 national team athletes,” says Communications VP Kelly. Mike has been at the Center for a little over four years, and says this model doesn’t exist much in professional sports, where he worked in hockey and baseball. He saw training as much more segregated, where the athletes watch their backs, worrying about evaluations being weaponized against them by management that doesn’t like a player’s performance. That mentality doesn’t foster creative thinking or innovations. “It could be mean your job if you do it wrong,” he says. 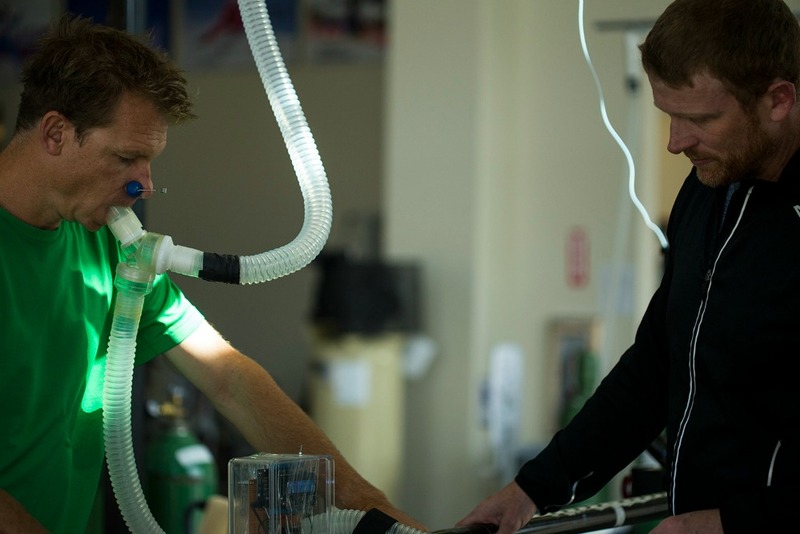 My last test is VO2 max, wherein I run to exhaustion on an indoor treadmill while my nose is pinched closed, and I’m breathing solely through a tube in my mouth. 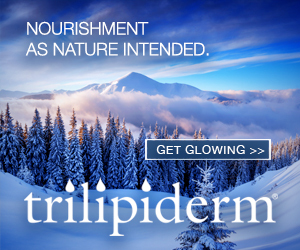 I know what you’re thinking: It sounds awesome. It is. VO2 max is the measure of the maximum volume of oxygen that an athlete can use during a specific period of increased exercise intensity. The test is measured in milliliters per kilogram of body weight per minute (mL/Kg/min). Though VO2 is usually determined through genes, the average untrained male (18-26 years old) will have a VO2 in the low 40s. VO2 max is the best indicator of cardiovascular fitness because the greater volume of oxygen that can be used during high-intensity exercise, the more energy that can be produced, which leads to better performance. Whereas an event like moguls or freestyle jumping is over within seconds, the test is very important with endurance athletes who push their levels to the breaking point during races. The test takes 10-12 minutes, enough time to bring my body to its anaerobic threshold. The first five minutes I’m running 5½ miles an hour—just under an 11-minute-mile pace. The tube in my mouth is attached to a series of large inflatable plastic bags that Mike fills in succession. After the first five minutes, Mike’s assistant Tom increases the incline of the treadmill, bringing me incrementally closer to my aerobic limit, while he opens the valve for the first bag. Sweat is building quickly, and I’m starting to feel my legs. Mike is filling a new bag every minute. At minute 10, four bags are full, and I’m working pretty hard; the treadmill is steep. Mike has two more bags to fill. At minute 12 I feel good, but I’m putting in real effort, my shirt is sticking to my chest, and I’m focusing on the heart rate monitor in front of me. “Almost there, Jeff,” Mike says, giving me a thumbs up. He caps off the sixth and final bag, motioning to Tom he’s got what he needs. The treadmill slows considerably and the ramp angle goes down. I’m soaking wet, and breathing fast. I can feel my pulse—thump-thump-thump-thump—beating through my chest, hungry for a return to a sustainable rhythm. Mike warns me about taking out the mouthpiece, motioning to hold my hand below while I pull it out. Sure enough, a slurry of drool spills into my palm, and it reminds me of Aliens. While I rest, Mike calibrates all my scores, and we have a chat about my morning’s performance. Because I’m a runner, I’m most curious about my VO2. The USSA Center of Excellence offers these “Executive Fitness” assessments for a $5,000 donation. For $10,000, you can add a year’s worth of training programs and monthly progress evaluations.